It was started on 2004 when a band named Red Plat transformed their music style from Dream Theater to Helloween style. It was the main vocalist Leo Sidhartas suggestiion to make the music more ear catching. Because of that choice, Leo suggested to recruit his old fella on college, a rock n roll and Helloween freak named Yuki. With the new style and formation, Red Plat continued to do some gigs to introduce the band to the public especially in their hometown Surabaya.In 2005 Rusdi (bass), Leo (vocals), Jay (drums), and Yuki (guitar) were out from the band because of some internal matters of the band. They then formed a same music style band named Archangel. The name comes from Leos admiration of the main character of Gods angel Gabriel which is pointed as the leader of angels of Arch Angels. This band then recruited Jarot as the second guitarist. With this formation, Archangel recorded 2 songs, Archangel and My Spirit which became the way to make Archangel more famous.On 2008 Archangel won a demo selection for Helloween tour in Indonesias audition. They were the only one from East Java that goes to the audition. Unfortunately they didnt make it to be the opening act for Helloween. However from that time, Archangel became much more well known in Surabaya and some other cities in Indonesia.On 2011 Jarot resigned from the band, and replaced by Bimo, the guitarist of their old band Red Plat. It can be said the Red Plat reunion with the new name but without the keyboardist Ayi who had got married and chose to take care of her family. 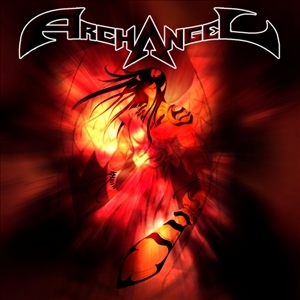 During 2011-2012 Archangel recorded their debut album named their own band. Now the album is out and you can listen it on their Myspace website on http://www.myspace.com/thearchangelband.